Sensors for HOBO Data Loggers. Use filters on the left to find what your looking for. The 12-bit Temperature Smart Sensor. Reliable service is assured by a stainless steel sensor tip and robust cable rated for immersion in water up to 50° C for up to 1 year. 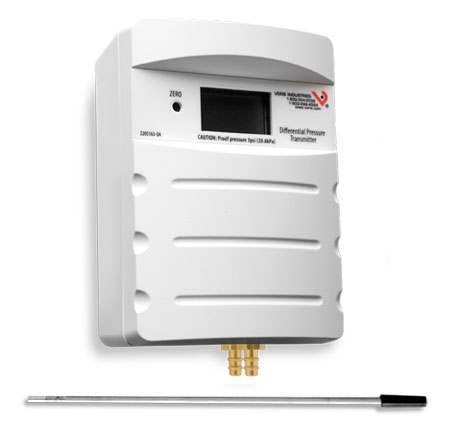 The 12-bit Temperature/RH Smart Sensor is designed to work with all Onset data loggers that accept Smart Sensors. All sensor parameters are stored inside the Smart Sensor, which automatically communicates configuration data information to the logger without any programming, calibration, or extensive user setup. A faster response version of our TMC6-HD complete with a plated copper sensor probe that can be mounted to a pipe or flat surface. 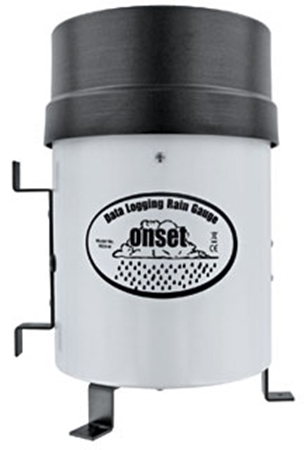 A Low cost Rain Gauge for HOBO Smart Sensor Data Loggers. This Rain Gauge Smart Sensor measures rainfall with intensity up to 12.7 cm per hour with a resolution of 20 mm, and 1% accuracy for rainfall rates up to 0.2 mm/hour. The tipping bucket mechanism is mounted on a stainless steel shaft with brass bearings. This model includes a 2m cable. 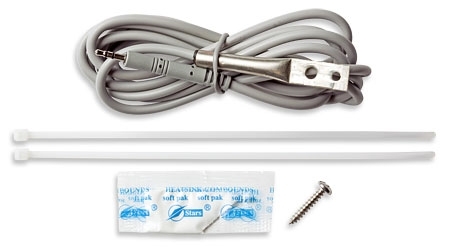 A food-grade stainless-steel temperature probe with pointed tip for use with HOBO U-Series external-channel data loggers or ZW series wireless datanodes. The optional analog module has four analog inputs for HOBO RX3000 Remote Monitoring Station. The optional Relay Module for HOBO RX3000 Remote Monitoring Station. Measure wind speed from 0 to 76 m/sec (0 to 170 mph). 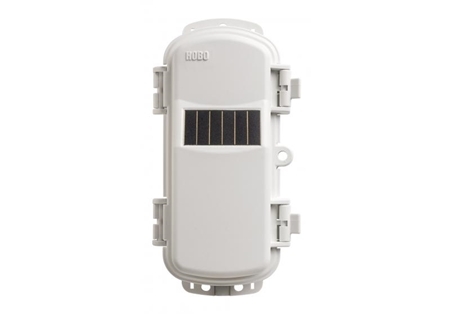 This smart sensor provides data reporting average wind speed and highest 3 second gust for each logging interval. 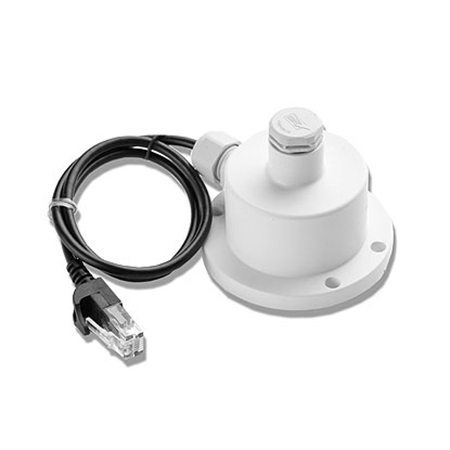 The Wind Direction Smart Sensor is a research-grade plug-and-play sensor for measuring and logging wind data. It provides average wind direction for the measurement interval. This highly-durable wind vane has a drip overhang for anti-icing. Its shielded stainless-steel ball bearings and static-dissipating housing provide a long sensor long life. The sensor calculates a unit vector average of the wind direction, providing data directly in degrees. Split-core CTs from J&D Sensing offer a well constructed hinged body and are very accurate. 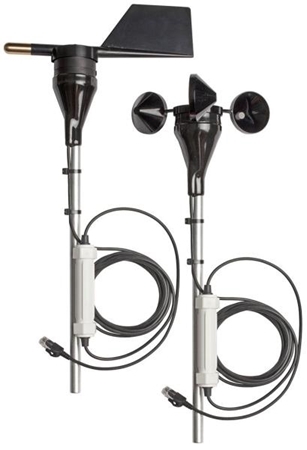 The Wind Sensor Set includes Onset's research-grade plug-and-play Wind Speed Smart Sensor and the Wind Direction Smart Sensor. This combination provides average wind speed, highest three-second wind gust and average wind direction for the measurement interval. These durable sensors will provide many years of accurate and reliable performance. The HOBOnet Wireless Manager module is installed in an RX3000 station. Data is transmitted wirelessly from sensors across the network to the RX3000 station and then uploaded to HOBOlink, Onset’s innovative cloud-based software platform. 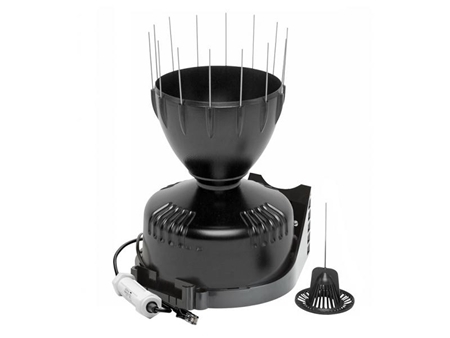 The HOBOnet Wireless Repeater is designed to work with the HOBOnet Wireless Sensor Network. 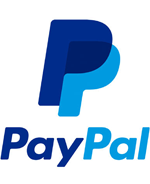 The repeater is ideal when there is an obstruction between wireless sensors and the RX3000 station or for extending the transmission range of wireless sensors in the network. 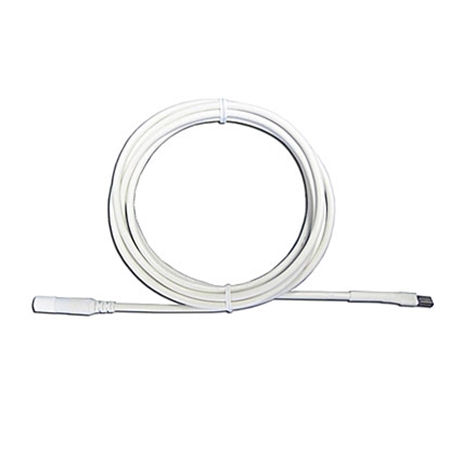 The HOBOnet Wireless Soil Moisture Sensor integrates the field-proven ECH2O™ 10HS Sensor and provides readings directly in volumetric water content. The 10cm probes measure soil moisture over a larger volume of soil, helping to average out any soil variability. 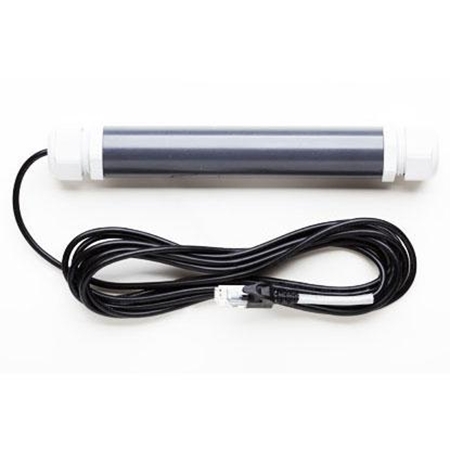 The HOBOnet Wireless Soil Moisture Sensor integrates the field-proven ECH2O™ EC5 Sensor and provides readings directly in volumetric water content. 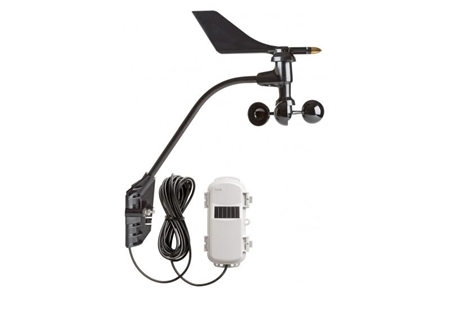 HOBOnet Wireless Sensors communicate data directly to the RX3000 weather station. 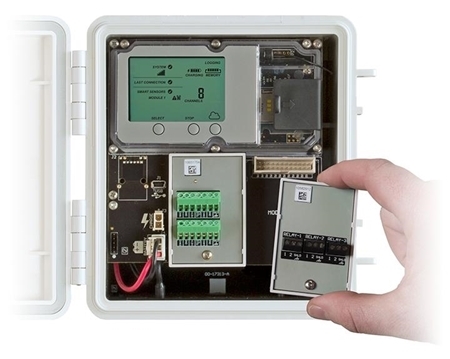 The HOBOnet Wireless Temperature and Relative Humidity Sensor provides a cost-effective and scalable solution for web-enabled monitoring of air temperature and humidity. HOBOnet Wireless Sensors communicate data directly to the RX3000 weather station or pass data through other wireless sensors back to the central station. 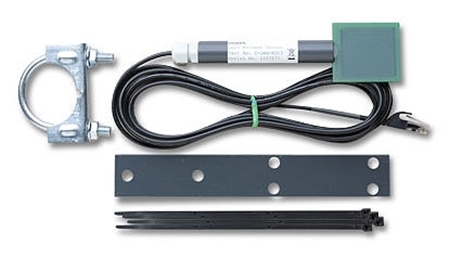 The HOBOnet Wireless Temperature Sensor provides a cost-effective and scalable solution for web-enabled monitoring of air, soil, and water temperatures. 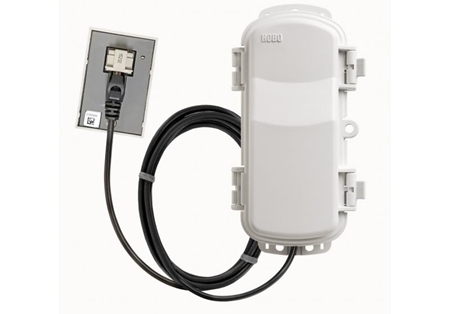 HOBOnet Wireless Sensors communicate data directly to the RX3000 weather station or pass data through other wireless sensors back to the central station. 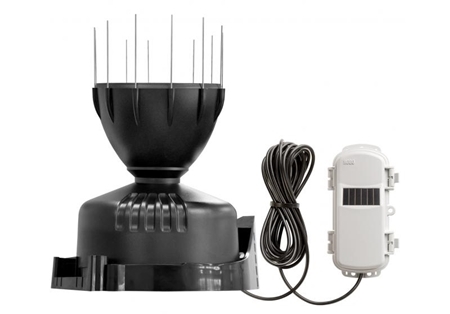 The HOBOnet Wireless Wind Speed and Direction Sensor records wind speed, wind gust, and wind direction. 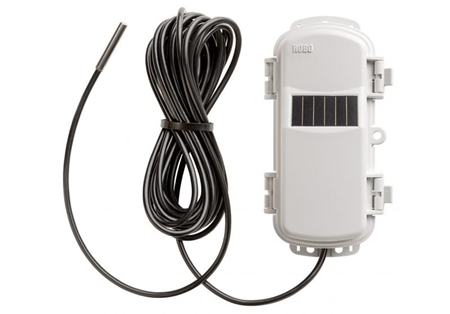 HOBOnet Wireless Sensors communicate data directly to the RX3000 weather station or pass data through other wireless sensors back to the central station. The HOBOnet Wireless Solar Radiation (Silicon Pyranometer) Sensor is calibrated to measure light intensity for frequencies relevant for solar radiation. 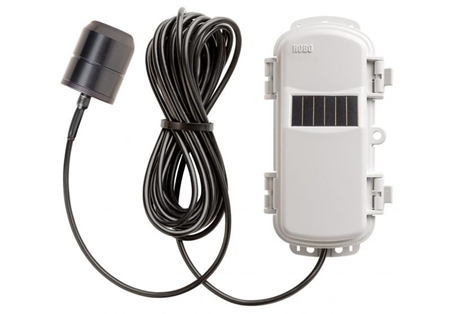 HOBOnet Wireless Sensors communicate data directly to the RX3000 weather station or pass data through other wireless sensors back to the central station. The HOBOnet Wireless Photosynthetic Active Radiation (PAR) Sensor measures light intensity for frequencies relevant to photosynthesis. 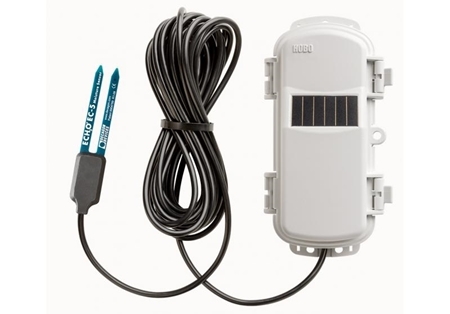 HOBOnet Wireless Sensors communicate data directly to the RX3000 weather station or pass data through other wireless sensors back to the central station. 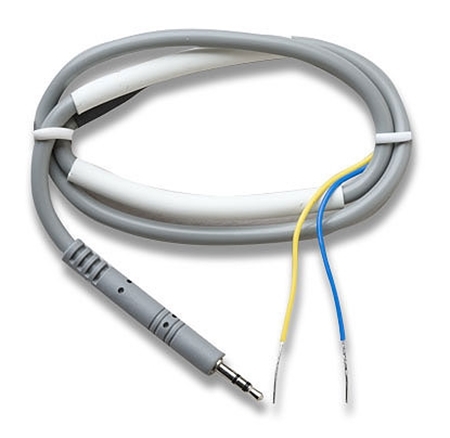 The CABLE-ADAPX and External Input Cable to Measure DC Voltage: CABLE-ADAP and CABLE-2.5-STEREO are external input cables providing analogue sensor input of 0-2.5Vdc, 0-5Vdc 0-10Vdc, 0-24Vdc max. for HOBO ZW Series data nodes, UX120, and U12 series data loggers with one or more analog inputs. 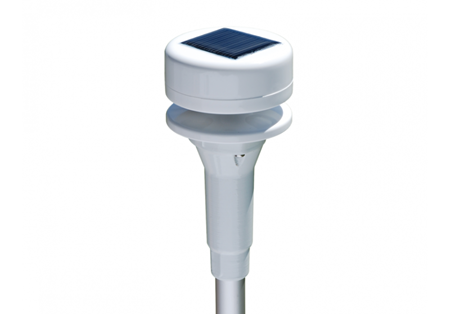 The Solar Radiation Smart Sensor is a light sensor (silicon pyranometer) with a measurement range of 0 to 1280 W/m2 over a spectral range of 300 to 1100 nm. 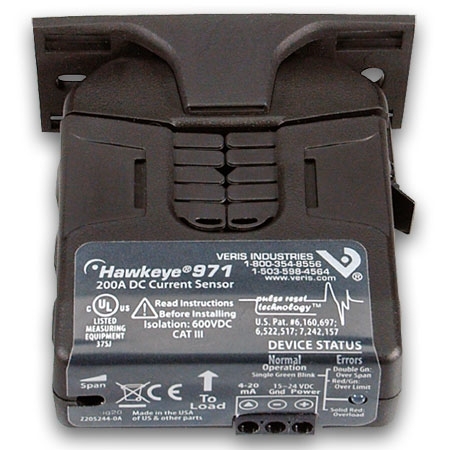 This sensor reports the average light intensity over a user-set set logging interval from a minimum of 1 second. The Intech IN-LLT hydrostatic level transmitter is a fully sealed submersible pressure instrument designed for liquid level measurement. The Photosynthetic Light (PAR) Smart Sensor is intended to measure light intensity for the frequencies relevant for photosynthesis. This sensor has a measurement range of 0 to 2500 umol/m2/sec over wavelengths from 400 to 700 nm. 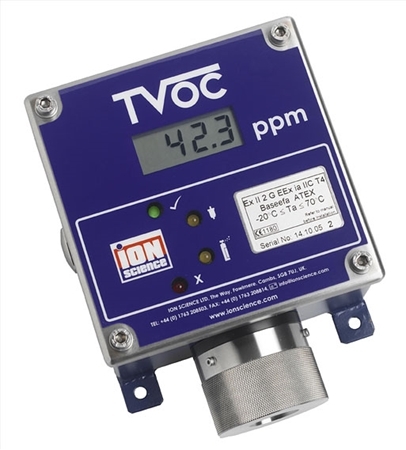 The Barometric Pressure Sensor provides average barometric pressure for each logging interval over the range of 660 mb to 1070 mb (19.47 to 31.55 inHg). 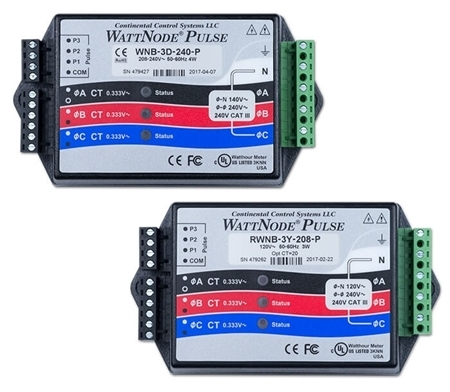 The Electronic Switch Pulse Input Adapter connects sensors with pulse outputs to loggers with smart-sensor inputs. 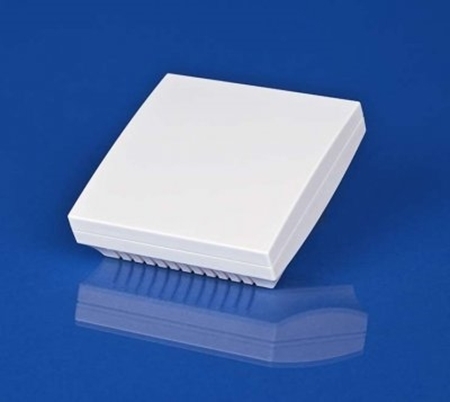 This Smart Sensor is compatible with electronic switch closures such as FET or open-collector outputs, or CMOS-level logic signals with a maximum input frequency of 120 Hz (120 pulses per second). Replacement sensor/cable for the HOBO ZW-005 and HOBO ZW-007 wireless data nodes. 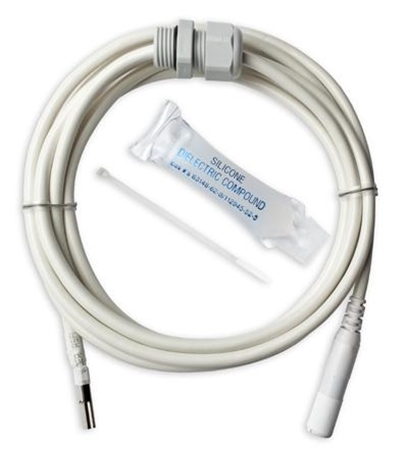 Includes temperature and RH sensor on 2m cable. 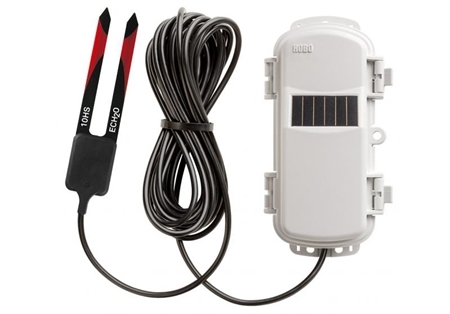 A split-core AC current sensor with models over the range of 0 to 600 amps AC for use with HOBO UX120-006, U12 and ZW data loggers with external input channels. 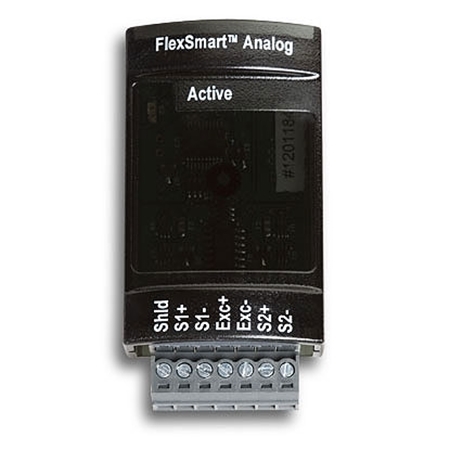 The 12-bit FlexSmart Analog Input Module for use with the H22-001 Energy Logger handles two single-ended input channels with user-configurable ranges of 0 to 20mA DC or 0 to 20 V DC which is suitable for 2.5-, 5-, and 10-volt sensors. 0-300 volt self-powered transformer for monitoring sine wave, single-phase AC voltage. Requires Input Cable for use with U12 loggers. 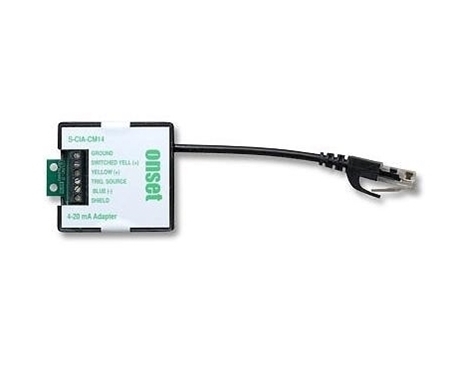 The 12-bit 4-20 mA Input Adapter interfaces with any sensor providing a 4-20 mA signal to connect to smart sensor compatible data loggers. This adapter features both a non-switched input and a battery-saving switched input that extends the life of external batteries. 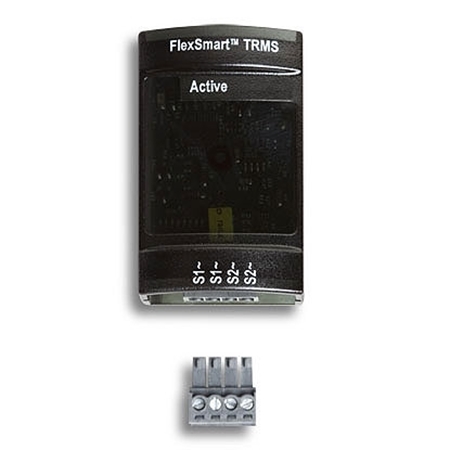 The 12-bit two-channel FlexSmart True RMS Current / Voltage Module accepts an input range of 5mV to 512mV and is compatible with 333mV FS output sensors. 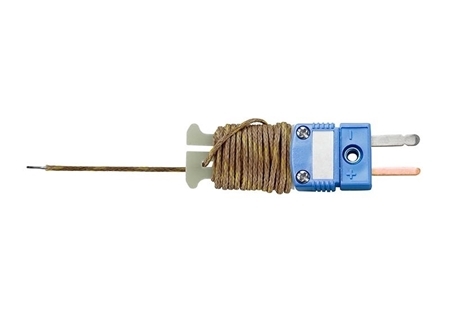 Field wiring is 2-wire via screw terminals. The 12-bit Voltage Input Adapter interfaces with sensors providing 0-5 VDC signals to act as a smart sensor with compatible data loggers. This adapter features both a non-switched input and a battery-saving switched input that extends the life of external batteries. 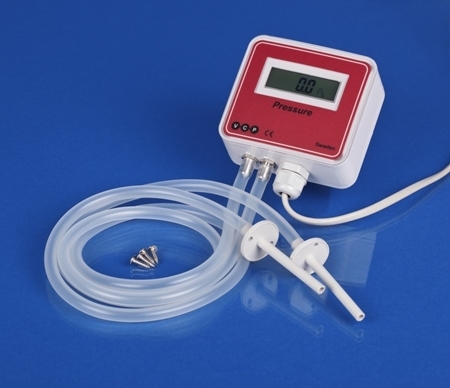 It also provides a trigger signal for controlling power to attached external sensors, while offering digital filtering which improves measurement accuracy with 32 readings/sample. Range: 0 to 250°C. 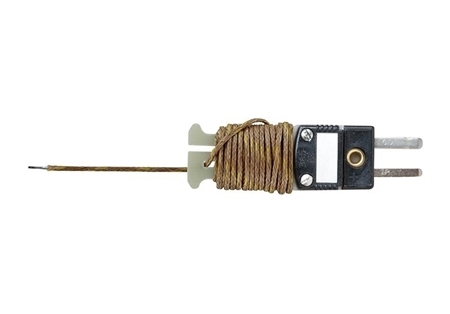 The Type J 6 ft Beaded Thermocouple probe includes 1.8m (6') of insulated 30-AWG wire wound on an integrated spool caddy /subminiature connector. 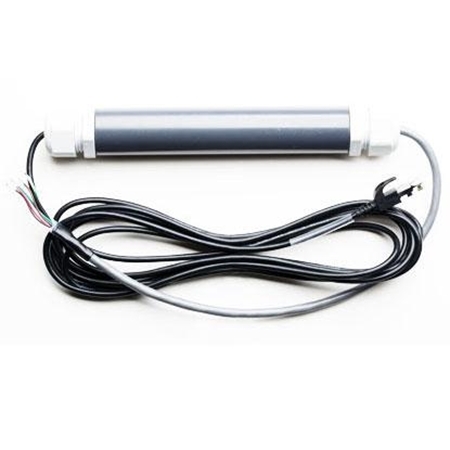 The F350 series is a versatile, high performance, air velocity and air temperature sensor where the sensor element is built remotely from the sensor electronics. The F300 series is a versatile and rugged, high-performance air velocity and air temperature sensor. Measure soil moisture over a large volume of soil with the affordably-priced 10HS Soil Moisture Smart Sensor. 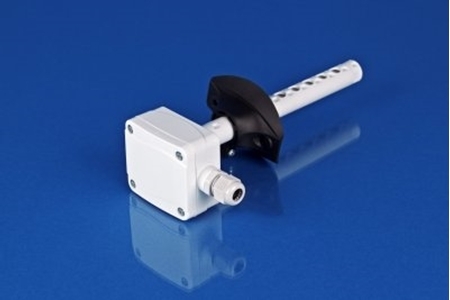 This sensor integrates the field-proven 10HS Sensor and a 12-bit A/D. 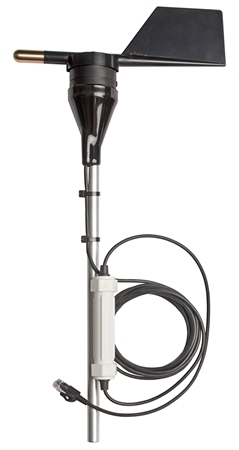 The 10cm probes measure soil moisture over a larger volume of soil which helps to average out any soil variability. 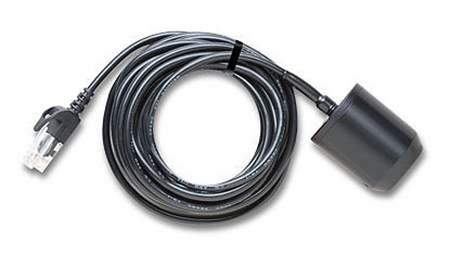 Measure soil water content with the affordably-priced EC-5 Soil Moisture Smart Sensor; this sensor integrates the field-proven ECH2O™ Sensor and a 12-bit A/D. 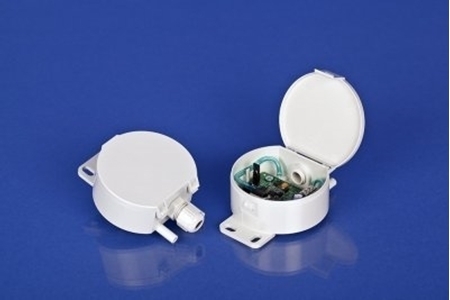 The sensor’s two-tine design makes the sensor easy to install. Readings are provided directly in volumetric water content. 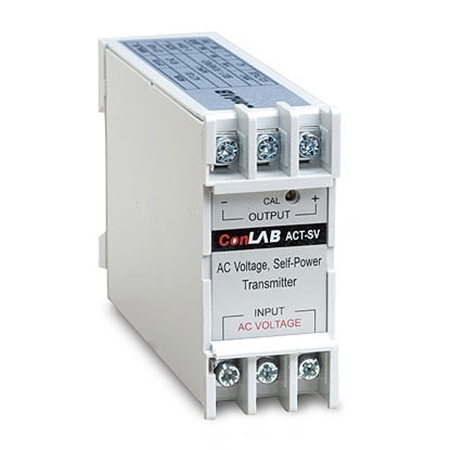 The Magnelab 300-Volt AC Potential Transformer is used with the FlexSmart TRMS Module to provide accurate measurement of AC voltage. 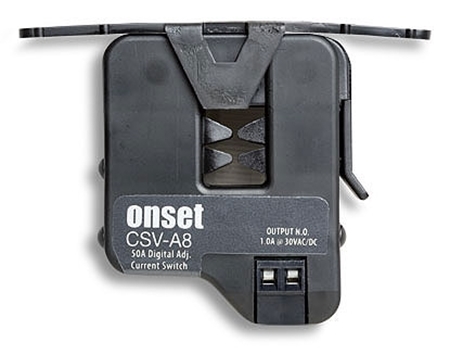 The CSV-A8 is a split-core AC Current Sensor with adjustable threshold switch output to monitor when equipment turns on and off. 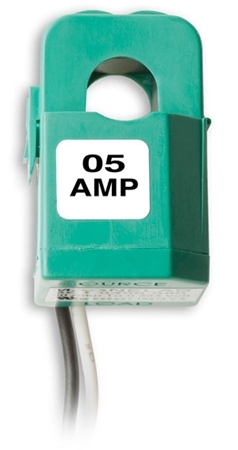 The Magnelab 600-Volt AC Potential Transformer is used with the FlexSmart TRMS Module to provide accurate measurement of AC voltage. 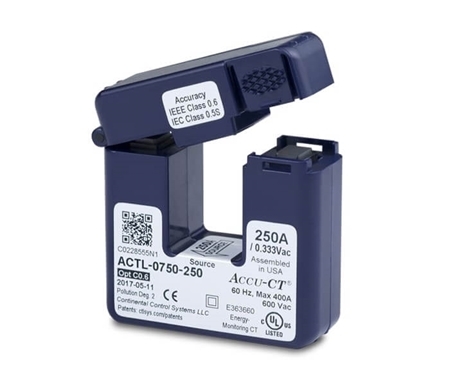 The Accu-CT revenue grade, split-core current transformer offers outstanding linearity and phase angle accuracy with a unique one-handed opening and closing mechanism.